As Congress dithers on resolving the fiscal cliff and long-term debt, 87 CEOs of major companies publicly urged lawmakers to compromise -- and fast. Their prescription: a debt-reduction plan that raises tax revenue and cuts spending. They believe any plan should be bipartisan and implemented gradually so it does not threaten the economic recovery. It also has to protect the vulnerable. 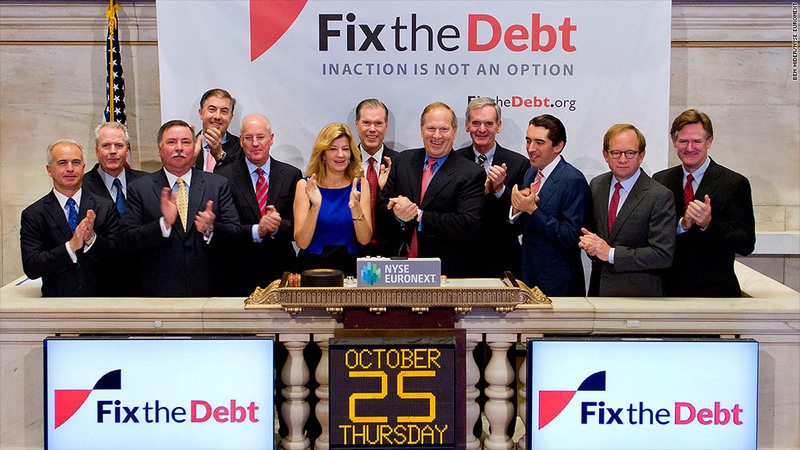 The CEOs have lent their backing to a set of principles put forth by the Campaign to Fix the Debt, a nonpartisan group founded by Erskine Bowles and Alan Simpson, who chaired President Obama's debt reduction commission. In general, they back the plan proposed by Bowles and Simpson as a framework to start negotiations. That plan would reduce debt by $4 trillion over a decade by cutting defense and discretionary spending, curbing federal entitlement costs and reforming the tax code. The CEOs are pushing for tax reform that lowers tax rates and reduces the value of tax breaks. That is similar to the tax reform proposed by Mitt Romney. But it differs in a key way: it would raise revenue to reduce the deficit whereas Romney's plan would be "revenue neutral" and deficit reduction would come solely from spending cuts. When asked for comment on the CEOs' public stance, Romney campaign spokeswoman Andrea Saul said, "As governor of Massachusetts, Mitt Romney proved that you can put together bipartisan majorities to balance the budget without raising taxes." President Obama has proposed changes to Medicare, would raise tax revenue from high-income families, and his 2013 budget proposal would temporarily stop the debt from growing faster than the economy. 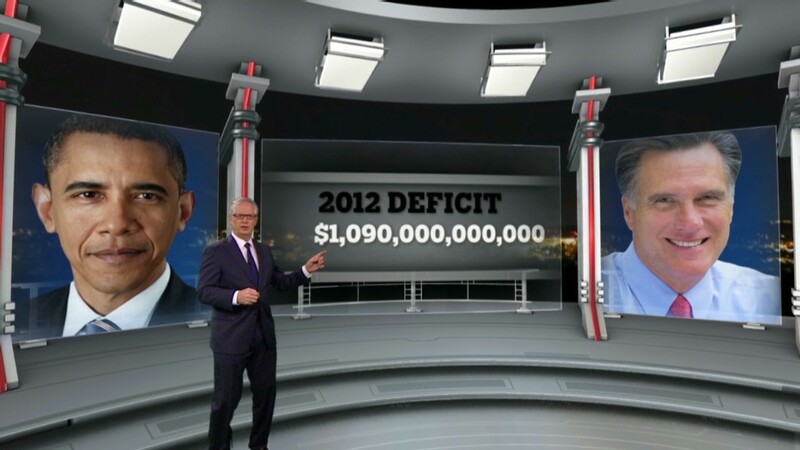 But he has yet to put forward a comprehensive debt-reduction plan. "There's a strong and growing consensus that the only way to reduce the deficit while also growing the economy is through a balanced approach that includes both tough spending cuts and increased revenue. The president has laid out such a plan," Obama campaign spokesman Ben LaBolt said. The 87 CEOs, some of whom rang the opening bell at the New York Stock Exchange on Thursday morning, hope lawmakers will make the most of their time before 2012 comes to a close. "We are one deal away from fixing the debt and putting our nation back on a stronger economic footing that can restore us to greater job growth," Mark T. Bertolini, chairman, CEO and president of Aetna, said in a statement. "If the Congress can commit to a plan outline as early as possible after the election, it will restore business confidence in our economy and investment will follow." Congress won't return to work until after the Nov. 6 election and will be taking a week off for Thanksgiving. Effectively, that means lawmakers have left themselves less than 5 working weeks to figure out what to do about the $7 trillion worth of tax increases and spending cuts that start taking effect in January.